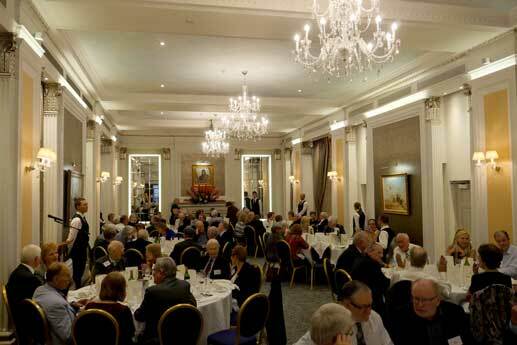 Our 15th Anniversary lunch was held on Thursday 19th October in the sumptuous surroundings of the RAF Club in Piccadilly. This was kindly arranged for us by John Downham, a Club member by virtue of his role as a wartime navigator (and a Network member by virtue of his role as a Unilever research navigator…). Pre-prandial drinks in the bar were followed by an excellent 3-course lunch in the ballroom; the food was excellent, the service impeccable and of course the company was incomparable. Both Peter Bartram, founding chair of the Network, and Jane Frost CBE, current CEO of the Market Research Society, gave short but highly relevant and enjoyable speeches, with Adam Phillips in his now customary role as Master of Ceremonies.